You might say that the Sonic Screwdriver is the Doctor’s most useful companion. It opens doors, reprograms computers, takes readings of various kinds and shuts up when he needs it to shut up. Well, he is grumpy sometimes. He loves it so much he probably wishes he could snuggle with it. Well, now he can. 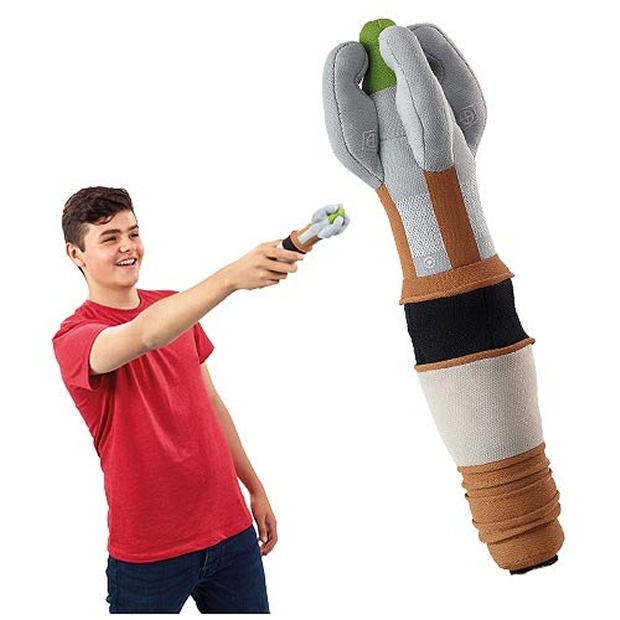 This Sonic Screwdriver is soft and cuddly. It is the perfect companion to cuddle up with as you are watching the show. And it even makes Sonic Screwdriver noises. It will be your best bud. It may not open doors or shut off alarms, but it will open your heart. Pre-order it now and it ships in November.